The following plain text files (which are also magma-readable) contain the graphs themselves, grouped by order. One of the step in our census was to construct all connected locally-imprimitive 4-valent arc-transitive graphs on up to 640 vertices. 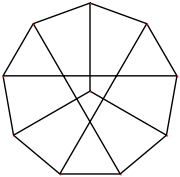 Combined with the list of small 2-arc-transitive 4-valent graphs due to Primož Potočnik, this yields a census of all connected 4-valent arc-transitive graphs on up to 640 vertices (39 MB). We present some interesting overall data which can be extracted from the census. We also have a table table containing more detailed information about graphs of each order. P. Potočnik, P. Spiga, G. Verret, Cubic vertex-transitive graphs on up to 1280 vertices, Journal of Symbolic Computation 50 (2013), 465-477. P. Potočnik, P. Spiga, G. Verret, Bounding the order of the vertex-stabiliser in 3-valent vertex-transitive and 4-valent arc-transitive graphs, arXiv:1010.2546v1 [math.CO]. The first paper describes the methods used to obtain the census while the second provides the theoretical tools necessary to have the algorithms run efficiently. by Primož Potočnik, Pablo Spiga and Gabriel Verret, last modified September 2014.